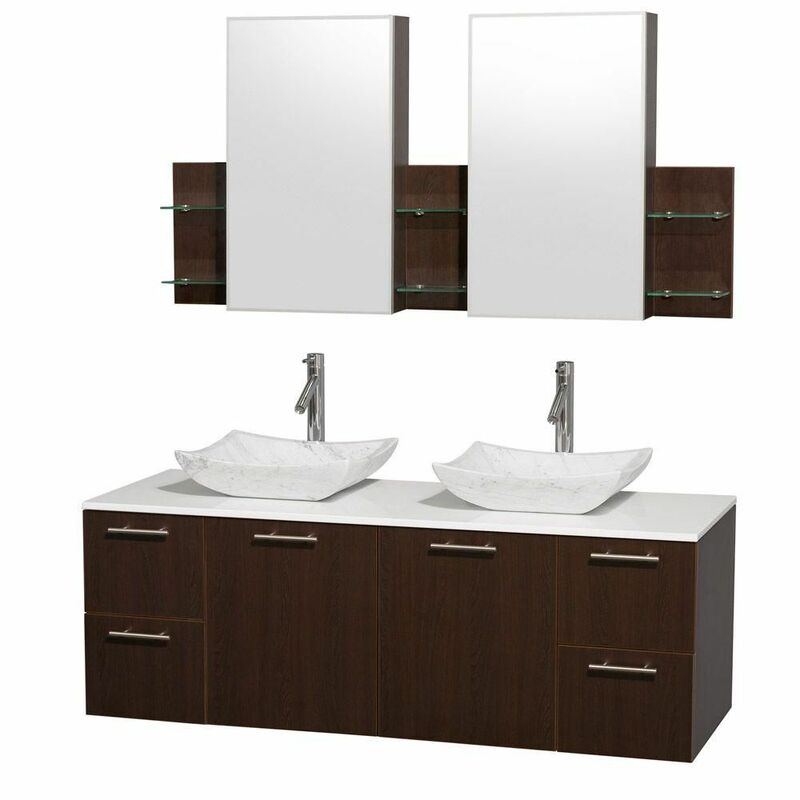 Amare 60-inch W 4-Drawer 2-Door Vanity in Brown With Artificial Stone Top in White, Double Basins Designed with a modern style and strong build, this vanity is a perfect choice for any bathroom. Its comes with a nice white artificial stone counter and brown fiberboard base for strength and style. Made with a roomy double-door cabinet and drawers, this vanity has lots of room to keep items like toothpaste, towels, and hair brushes. Add a classic feel to your bathroom with this simple vanity set from Wyndham Collection.